Who is Professional Scrum Master (PSM)? We partially give some elements in a previous article on our blog: “ How To Choose A Scrum Master? “. On top of that, it is important to highlight that the Professional Scrum Master wear different hats according to the context: s/he is a coach, facilitator, enabler, problem- solver, proxy. His/Her main characteristic is to embody Servant Leadership. And basically, as the first promoter of Agile in the organization, s/he truly has the Agile mindset and is more than willing to share it. Advocating in favor of the more appropriated framework to make the Dev Team performant – it can be something else than Scrum! Officially, there is no specific requirement: everyone is a potential candidate to become a Professional Scrum Master (PSM). Do you live and breathe Agile? Ok, that sounds too much. Nevertheless, have in mind that learning theory and training to open assessments is one sufficient thing to get certified but acting as a good Scrum Master requires a true behavior and belief in Agile philosophy coupled with large experience, ideally in organizations that have succeeded in their transformation. Like other jobs at “vocation”, you feel a true desire to become Scrum Master when working or at least meeting with one of them. When you meet a great Scrum Master, at some point you could become aware that you do want to do the same job: because you help people working better, feeling better at work, you participate to a radical transformation in the workplace for a better organization. II) What’s the importance of a PSM certificate? Getting a PSM certificate demonstrates the capacity to know, understand and apply Scrum in real-world situations. How to become a PSM? Although it is highly recommended, taking a training is optional. However, taking the official exam is mandatory to get certified. Scrum.org is the official provider. A core of knowledge about Scrum remains the Scrum Guide from Ken Schwaber and Jeff Sutherland. Spend time and train seriously on the Scrum Open Assessment: this is the most realistic assessment you can train on! Next very useful resources are available with the Scrum Master Learning Path: this is a set of Professional Scrum Competencies which each contain a number of focus areas. Other Open Assessments might be relevant to gain additional perspective on the other roles of a Scrum Team: check the Scrum Developer Open Assessment and the Product Owner Open Assessment. What is the eligibility to become a PSM trainer? Eligibility to become a PSM trainer requires three conditions. First, candidates must have at least four years of intense experience as Scrum Master in software development. Second, candidates must have conducted real-world training and have delivered coaching using Scrum. On top of that, candidates passed their PSM 1 assessment with at least a 95% score. After PSM training within how many days do I need to take the certification? After PSM training, there is no minimum duration to take the certification. As soon as candidates feel they are ready, they can schedule an online assessment. Professional Scrum Master™ (PSM) is a 2-day course that covers the principles and (empirical) process theory underpinning the Scrum framework and the role of the Scrum Master in it. This course is a combination of instruction and team-based exercises and teaches what is at the heart of the Scrum and Agile movement. The course also includes a free attempt at the globally recognized Professional Scrum Master I certification exam (PSM I). It is also important to know that taking a Scrum.org official training offers candidates a free attempt at the assessment. As passing the certification does not require to attend to the official course, candidates can directly apply on the Scrum.org website. They will receive a personal password (with no expiration date) and then they can connect to a specific page and take the exam. The cost is $150 per attempt. If you attend a Scrum.org training class, fees include a free attempt. The exam is exclusively online. It consists of 80 Multiple Choice, Multiple Answer and True/False questions. 60 minutes maximum are allowed to perform the full exam, and only English language is available. Scrum Framework: this is foundational knowledge for every Scrum Team member. It covers Scrum theory as described in the Scrum Guide. Scrum Theory and Principles: this topic is more about understanding Scrum theory: empirical process, principles, and values of Scrum. Cross-Functional, Self-Organizing Teams. 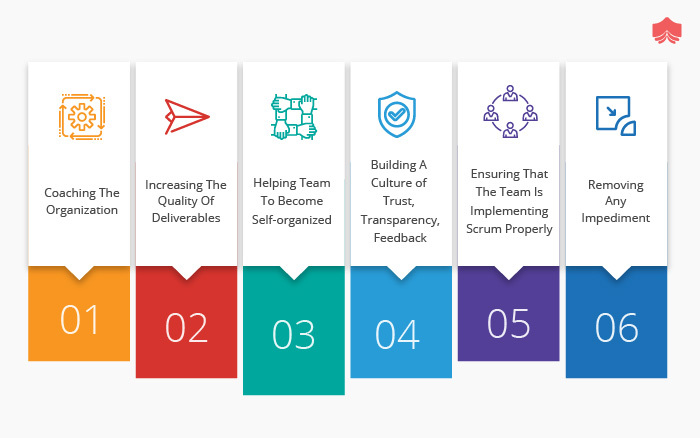 Questions here cover how Scrum Teams are different from traditional development teams: cross-functional, self-empowered and self-organizing people promote flexibility, creativity, and productivity. Coaching and Facilitation. Questions here are about how mindset and behavior of Scrum Master are different from traditional Project Manager: by acting as a Servant Leader, the Scrum Master facilitates and coaches full organizations in understanding and using Scrum. Here are three potential questions at the PSM exam. Question 1: When many Development Teams are working on a single product, what best describes the definition of “done”? All development Teams must have a definition of “done” that makes their combined work potentially releasable. 4 hours for a monthly Sprint. For shorter Sprints, it is usually shorter. The best way to be well prepared for the PSM official exam is to work on the Scrum Open Assessment. You can consider that you are ready once you get 100% at every attempt. Here are main differences between the two majors certifications in Scrum: CSM by Scrum Alliance and PSM by Scrum.org. V) Is the PSM I certification worth investing? The first goal at Scrum.org is to make candidates understanding how to get valuable software thanks to a high level of maturity in Agile using Scrum. In order to achieve that, Scrum.org deliver assessments to examine, improve and certify candidates’ knowledge of Scrum. On top of that, the Scrum Guide and the Nexus Guide serve as the main background for all Scrum.org assessments. Individuals that are successful at the PSM 1 certification demonstrate a fundamental level of Scrum mastery: they understand Scrum as described in the Scrum Guide and the concepts of applying Scrum. The PSM 1 certification is considered significantly more valuable than other options for Scrum. People who follow Scrum.org courses can claim Project Management Institute (PMI) Professional Development Units credit: 14 PDUs after attending a two-day Professional Scrum Master (PSM). Keep in mind that PMI PDUs are earned for course attendance and not for passing a Scrum.org assessment. How much should I pay to renew PSM certification? There is no need to renew PSM certification: Scrum.org certificates are lifelong and do not require any additional payments or renewals. “Why Agile is eating the world” states Steve Denning in this (must-read) article. Consequently, becoming now a certified and experienced professional in Agile expertise seems to be an interesting option to stay at least “employable” and marketable. Still being realistic, professionals in Agile will be directly requested either to perform the Agile transformation in many big (old) organizations or to build the Agile culture from scratch in new companies and startups. Attractive and valuable challenges are in perspective.